I loved the first book in this series. Mycroft and Rachel were such a fresh take on Holmes and Watson and the mystery dazzled me. I expected this novel to be the same but, while I enjoyed this book, I also felt a little bit underwhelmed. 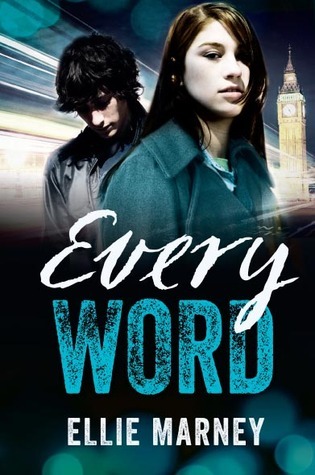 Every Word largely took place in London, England. An accident took place there and it largely resembled the accident that killed Mycroft’s parents so he sets off to learn more. The problem is he left Rachel behind and she isn’t going to take that sitting down. So Rachel jets off to London to force Mycroft to talk to her. Mycroft was a jerk in this book. I’m just gonna call it how I see it. He got on my last nerve for the first third of the book and I couldn’t stand that Rachel was willing to drop her own life just to chase him halfway across the world. They seemed like different characters than the ones I met in Every Breath. Luckily, as the novel progressed I did get to see the characters that I loved but it was too little too late. Overall, Every Word left me underwhelmed. I enjoyed the story, after I was finally able to get in to it, but it didn’t have the dazzle of the first novel. Still, I will read the third book in the series…I’m just not clamoring to get my hands on it.